No stove for over three weeks? No problem! OK...slight problem, but we made it through thanks to the microwave, electric griddle, and of course - the crock pot! 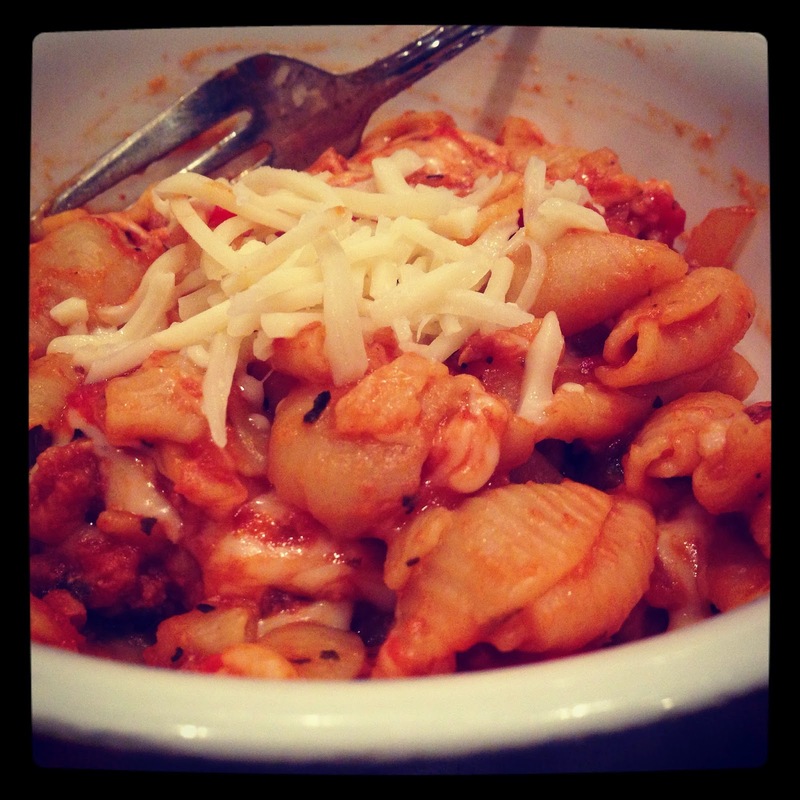 Discovered this recipe for Crock Pot Lasagna Soup and made a few modifications that ended up making it much more like a baked pasta dish than soup. The FANTASTIC thing about this recipe is that you don't have to brown the meat or cook the pasta - it really is a one pot recipe! Mix diced tomatoes and tomato paste in crock pot. Add broth, garlic, onion, V8, and spices and mix. Add meat and give it another stir. Cover and cook on low for 7-8 hours or high for 4 to 5 hours. When there's 20 to 30 minutes of cooking time left (depending on how soft you prefer your noodles), add the water and noodles. Stir. Replace lid and finish cooking.